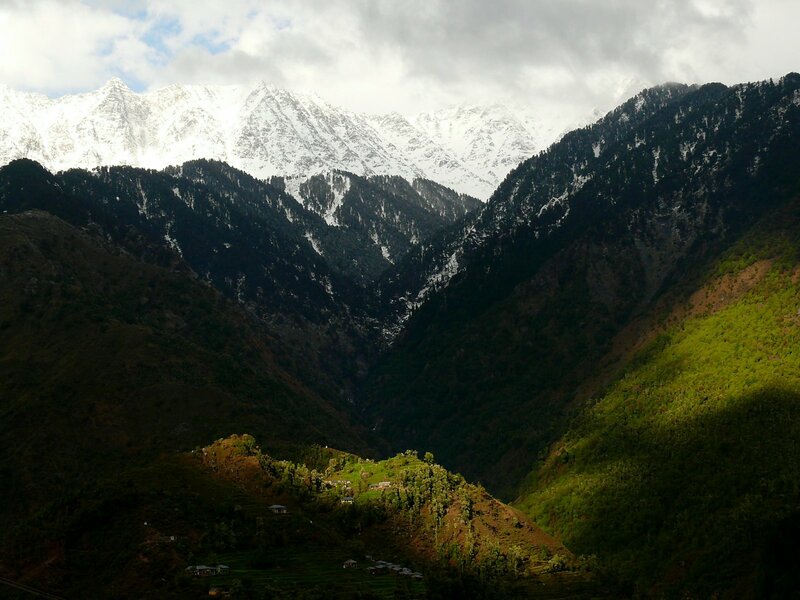 A guarded treasure nestled in the distant and quiet mountains of Kullu Valley, look the Great Himalayan National Park (GHNP) covered in alpine meadows, dense rivulet forests and delineated by a wall of breathtaking snowy peaks and steep rock ridges, makes it a perfect getaway for nature lovers. Sprawled across an area of 754.4 sq km, altitudes in park dramatically change from 1,300 m to 6,100 m over a very short distance that give it a unique topographical variation. Such a sudden altitudinal shift juxtaposes a rich sub-tropical biodiversity with a high Himalayan one in very close proximity to each other enabling diverse specie of flora and fauna to adapt and thrive in. The region supports some 425 genera and 125 families of higher plants and over 300 species of birds and 30 species of mammals, which is why it was conserved and declared a National Park in 1999. It was after a rigorous examination, inspection and documentation by global wild life experts that in June 2014, UNESCO accorded the park the coveted World Heritage Site status. 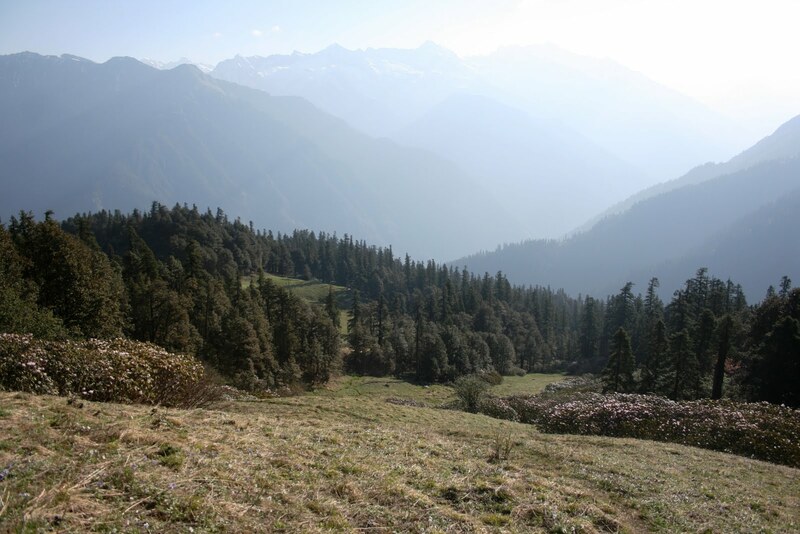 The parks habitat is such that only one third of it has a forest cover, which is spread along valleys and streams, while the rest of it is preponderate with alpine ranges. 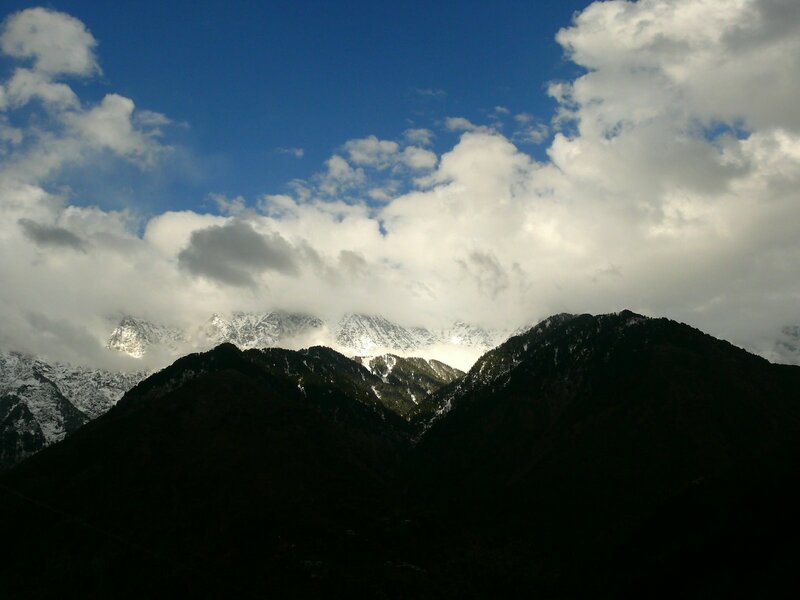 Much of the eastern border is marked by perennially covered in snow peaks that are birth sources for Tirthan, Sainj, Parvati Rivers and Jiwa Nala (stream), all of which are a part of River Beas catchment. 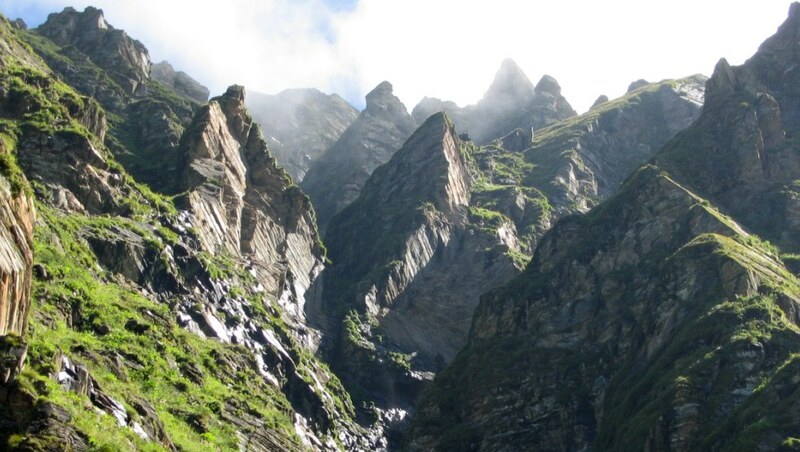 The rugged topography and relative inaccessibility of the region has helped in maintaining its isolation. The profound wilderness that surrounds the park does hold much attraction for writers, photographers, filmmakers and wildlife gazers but also keeps the usual mass tourism at bay. The local population, which is sparse, is relatively untouched by modernization. Villagers still live on local resources and the economy thrives on traditional agrarian livelihood means. There are still no roads or even paved paths; the entire park has to be covered on foot. A 5 Km buffer zone from the Park’s western boundary, covering an area of 265.5 sq km, which is sparsely populated, has been demarcated as an ‘Ecozone’. Beyond the ecozone, conserved with care GHNP reserve is an excellent habitat for a range of species. 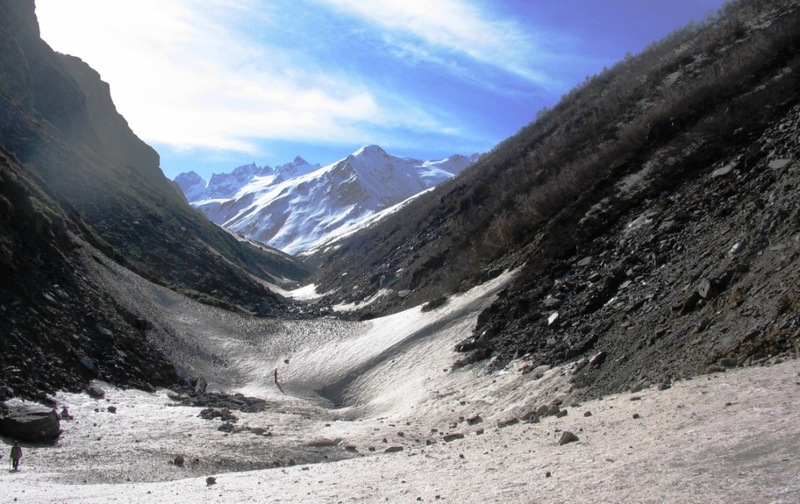 GHNP shelters one of the highest population densities of the rare Western Tragopan, which is a highly endangered and vulnerable western Himalayan pheasant specie. 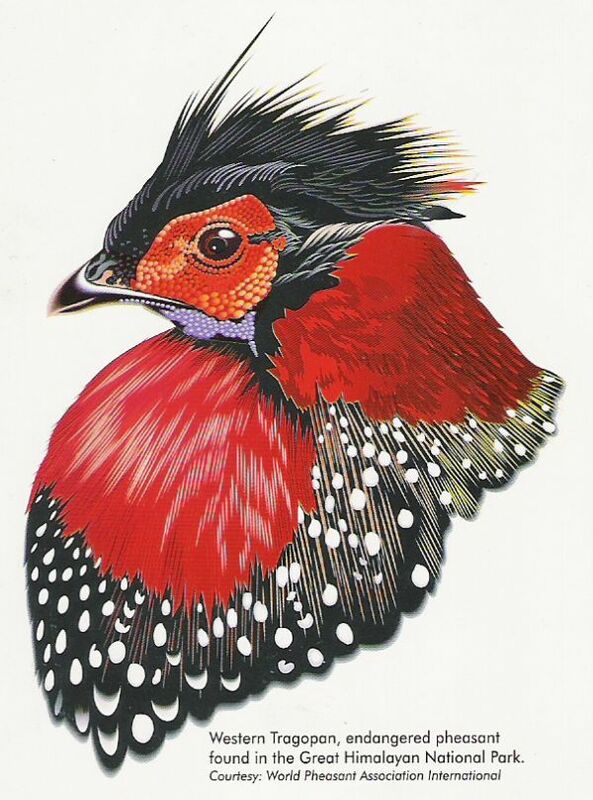 Because of its rich plumage and bright feathers, the Western Tragopan has been picked as the state bird of Himachal Pradesh. 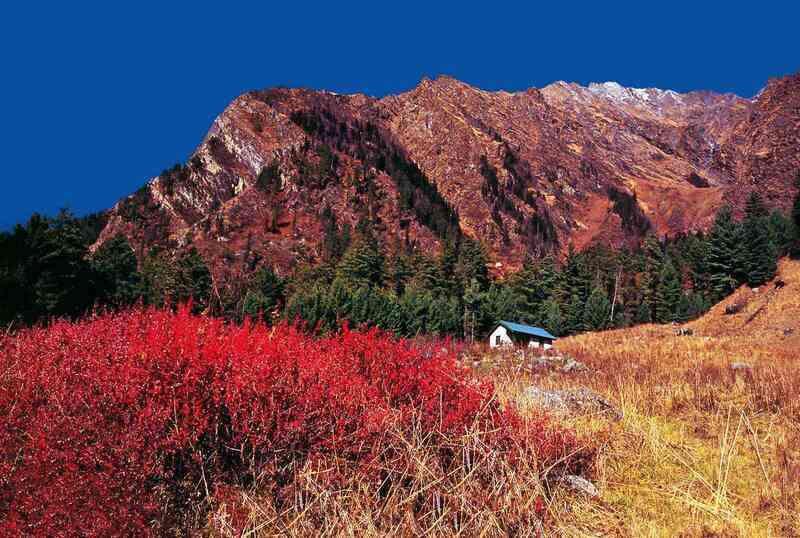 It also houses a healthy population of the Musk Deer, which is endemic to the western Himalayan region. Local herdsmen, photographers and wildlife enthusiasts have even reported spotting the elusive and rare snow leopard and the extremely rare red-headed vulture. Another rare pheasant bird spotted in the park is the Himalayan Monal pheasant. 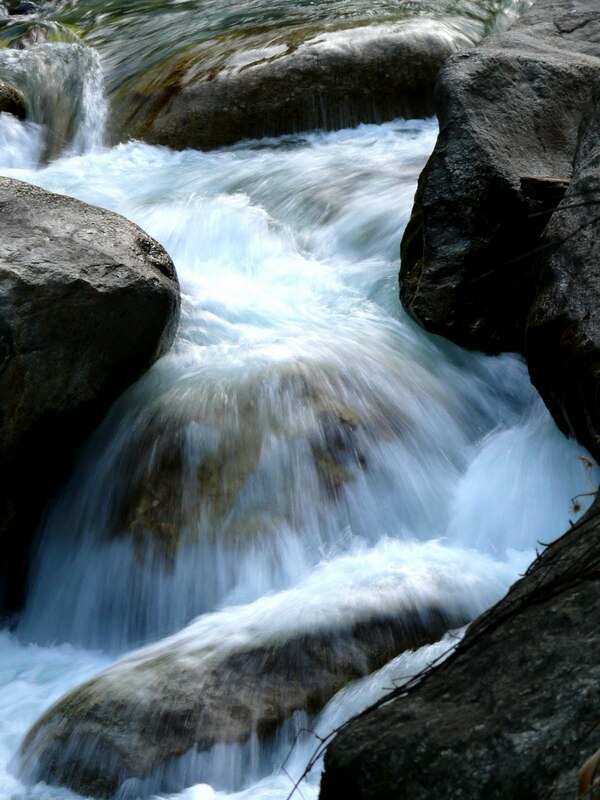 The park is contiguous with Pin Valley National Park (675 sq km) in the Trans Himalaya region, the Rupi Bhabha Wildlife Sanctuary (503 sq km) which is part of the Sutlej River watershed, the Kanwar Wildlife sanctuary (61 sq km) and the Khirganga National Park to the north, all of which enhance the conservational richness of the park. 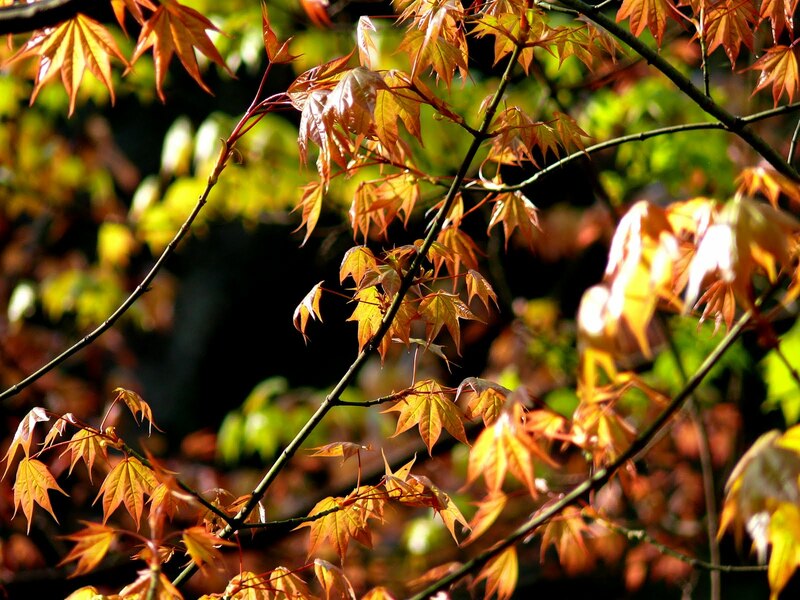 Though the park holds great charm and attraction for trekkers and those interested in studying the Himalayan flora and fauna, it is advisable to plan trips during summer months from April to June and after the monsoons, during the months from September – October. For observing life in the park, there are 14 inspection huts set up at very scenic and strategic vantage points that a visitor needs to book up with prior notice. Transit accommodation close to the park is available at Aut, Largi, Sainj and Bathad. 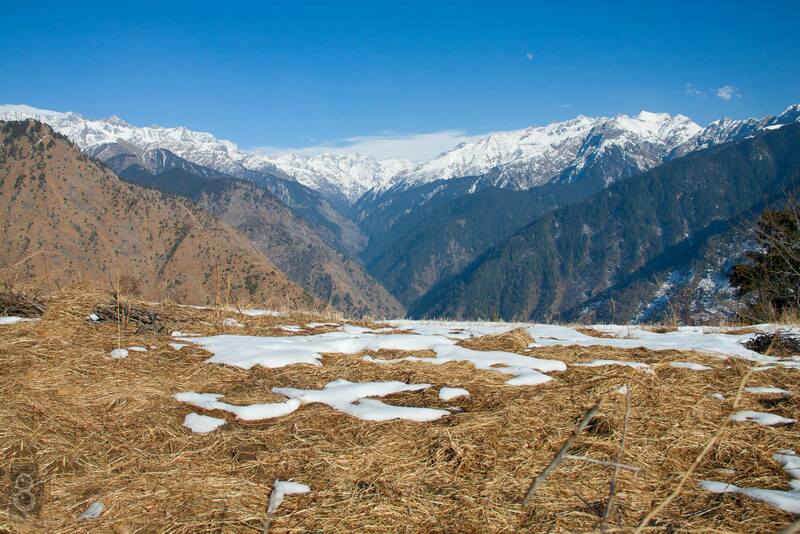 To get to the Great Himalayan National Park, one has to take the eastern divergence at Aut, a small hamlet on the Kullu-Manali Highway which is 45 km from Mandi and 30 Km from Kullu. At Lagri, some 4 Km from Aut, two routes lead in to the park. 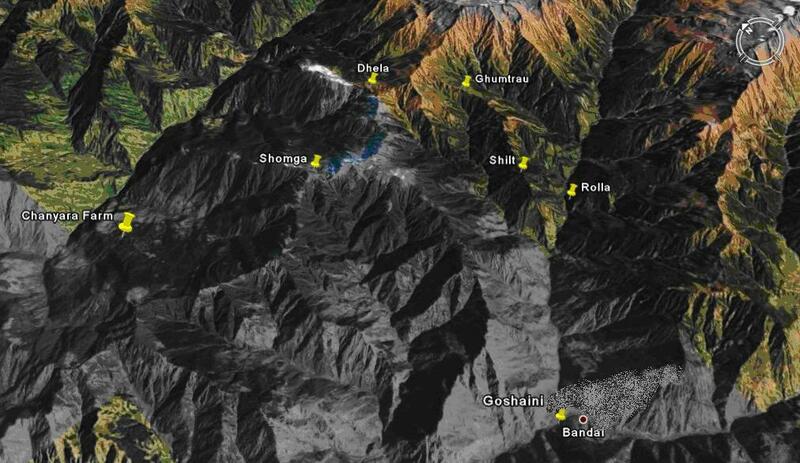 One is along the Sainj Nala (26 Km), and the other along the Tirthan Nala (28 Km). 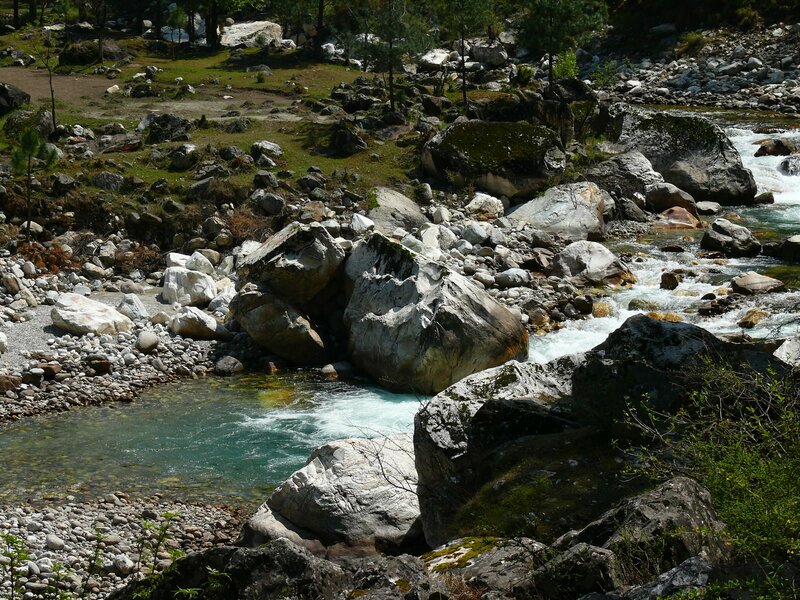 Entry to the park is regulated by permits that can be obtained from the GHNP Director’s office at Shashmi, Kullu or from the range of officers stationed at Sainj, Sairopa and Banjar.